When impurities are detected by UV under non-volatile mobile　phase conditions, does one need to adapt the method to use　volatile mobile phase additives for LCMS　confirmation? 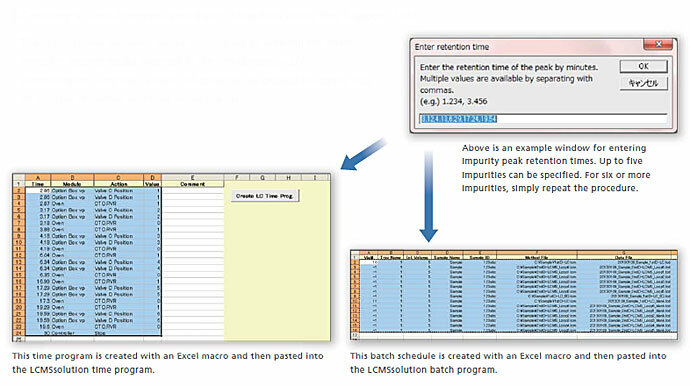 With the use of a 2DLC-LCMS system, no additional method development is required because mobile phases can be changed online. 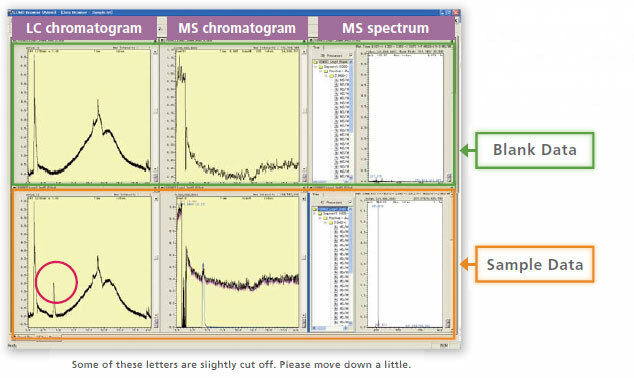 Only the impurities of interest are introduced to the MS system, so there are no concerns about peak misalignment. 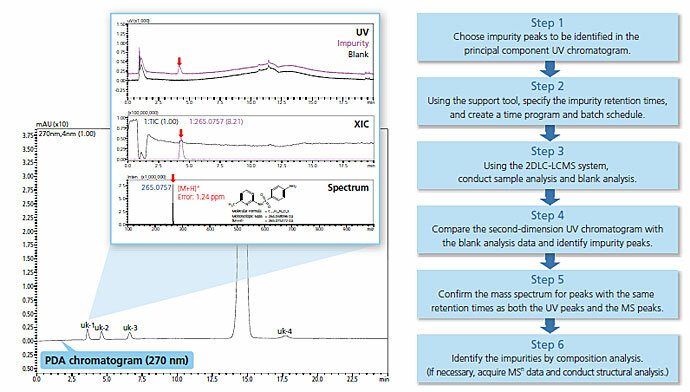 The optimal valve sequence can be constructed by entering the retention times for impurity peaks observed in the first-dimension UV chromatogram, and then a batch schedule can be created to acquire data on multiple impurities and their respective blanks. 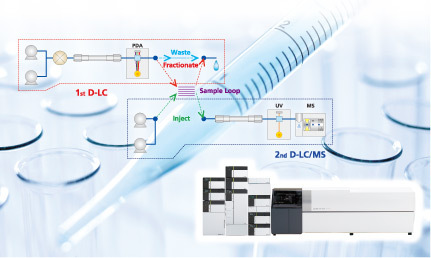 The Trap-Free 2D LC/MS Impurity Identification System is a Prominence-based application system for the LCMS-IT-TOF and is configured with LC units, LCMS-IT-TOF, and "2DLC+LCMS System Start Kit."